Fish Patties/Fish Burgers/Fish Cakes or Fiskekaker as we call them in Norway, are a lean and healthy alternative to beef burgers. A great benefit of homemade fish burgers is, you choose the oil used for making them. Fish does not have to be deep fried to be delicious. Your family will benefit from healthy seafood. Deep fried fish is not common in Norway, on the other hand, poached fish is our alternative - tasty and lean. yum! However, we do saute some fish in butter, especially trout, mackerel, sild and sometimes salmon fillets. In the mood for a fish sandwich? Load up a bun with a fish pattie and all the condiments you like. Bingo! You have a Fish Sandwich! Enjoy! 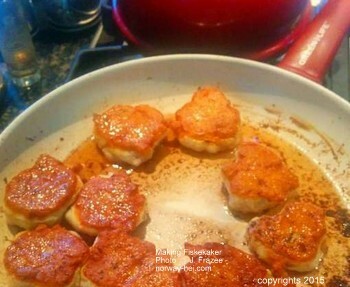 Place cooked fish patties on a cookie sheet, stick them in the freezer until frozen. Store them in a container in your freezer. They will be easy to remove from the container without sticking together. I was a little heavy-handed with the butter when I made these fiskekaker, but if you want to get rid of extra butter/oil place the patties on a few sheets of paper towels when they are done cooking to absorb excess oil. It's nice to find a healthy fishburger snack to munch on or a bunch of them in the freezer to make fish burgers for dinner. 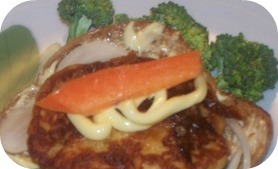 Here is a recipe for making Fish Patties or maybe you call them Fish Cakes. 1 lb fresh or frozen haddock, cod, or whiting. Extra virgin olive oil or organic extra virgin coconut oil for frying. Place cut-up fillets in food processor. Add flour, salt, spices and egg. Add milk gradually. Mix 1 minute. 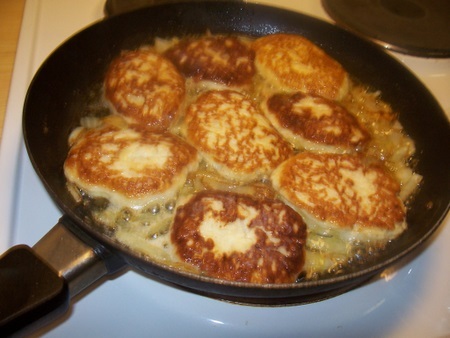 Use a large spoon to form patties and place in pan lightly coated with Extra Virgin Olive Oil. Cook both sides until light golden brown. Another method is to apply a light coating of E.V.O.O. on a baking sheet and pop them in the oven at 350°F. for 10 minutes. Turn patties and finish baking until done. If you make a double batch; freeze individual patties to have lean seafood burgers on hand for quick meals. Serve with heaps of steamed vegetable, sauteed onions, mushroom and garlic and why not, a spinach salad. Enjoy deliciously skinny fish patties and stay lean and healthy.